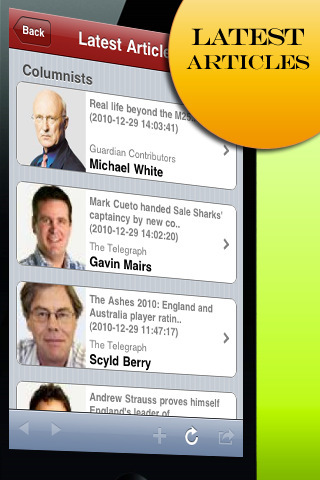 Also you can see all latest articles, top read columnists, and top read articles with one touch from main screen. Searching for columnist or article has never been easy before! Just type some keywords and it will bring the related columnist or article. 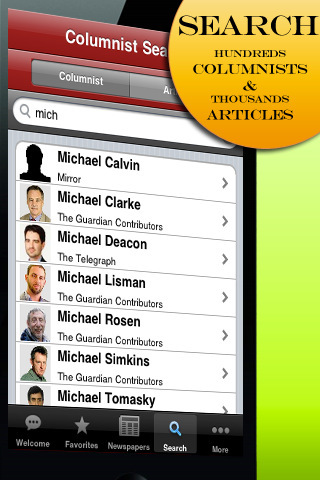 Select the columnists you like and add them to favorites, then it's easy to access latest articles by just one touch. Sharing articles with your friends and family has never been easy before. 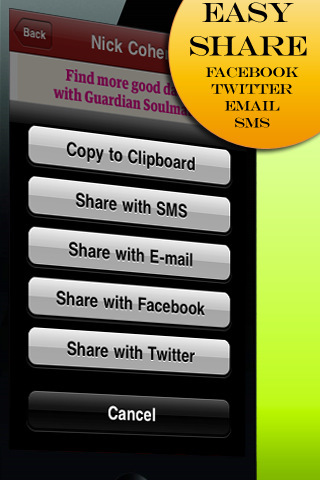 Just click on Share button and select an option including SMS, E-mail, Facebook or Twitter. 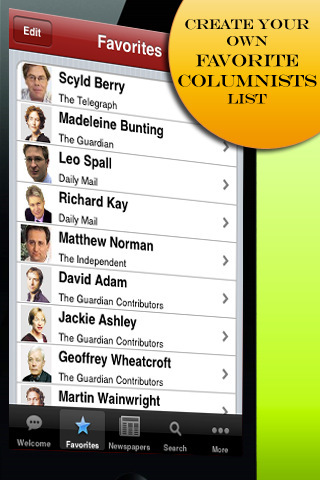 Navigate around 11 newspapers with more than 700 columnists. Check out latest articles, top read articles, top read columnists. Share the articles with SMS, E-mail, Facebook or Twitter. 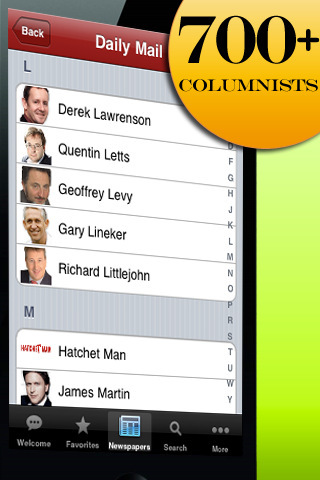 With Columnist UK, never lost around the Internet and read your favorite columnists right from one place!